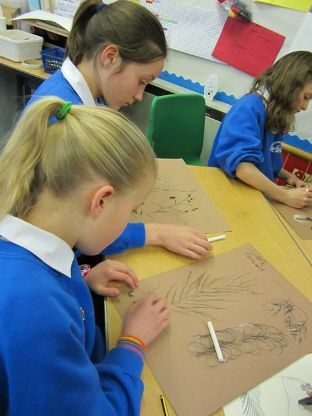 Last week, the whole school from nursery to primary, spent time developing their drawing skills. 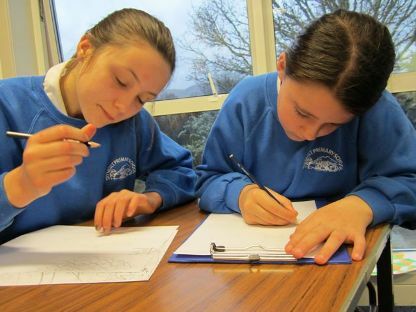 The teachers included drawing in different curriculum areas from maths to PE, and on Wednesday we had a ‘whole school drawing day’. 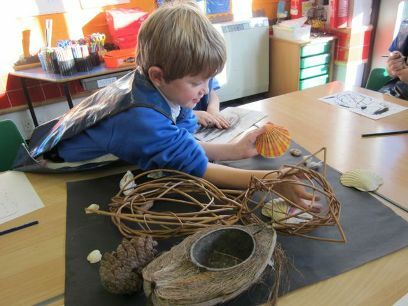 The p1 – 7 children went to four workshops over the day where, in the morning, they drew things from nature like shells, branches, stones, driftwood etc. They used a variety of drawing tools like charcoal, oil pastels and pencils. In the afternoon they drew mechanical and man-made items including a bike and a spinning wheel. 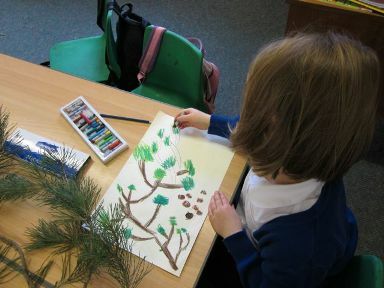 Some children also did some imaginative drawings as well as making a winter frieze. Parents came in to help too. 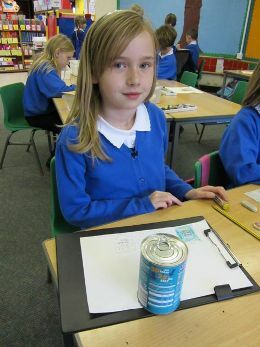 On Thursday, Eileen Ramsay, an artist, visited the school and showed the children examples of her work and gave them lots of ideas to develop and enjoy drawing. 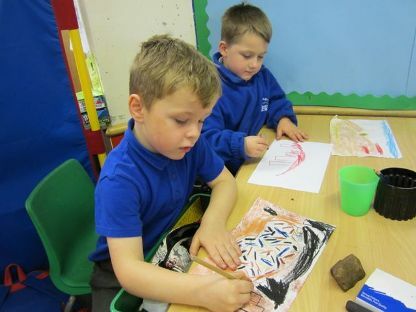 We are going to celebrate the work that was done in ‘drawing week’ by having an exhibition on Wednesday next week where parents and members of the community will come and see the children’s work. The photos really show how much the children seemed to enjoy their drawing day and I’m so glad that Eileen’s visit was a success. I can’t wait to see the work……. 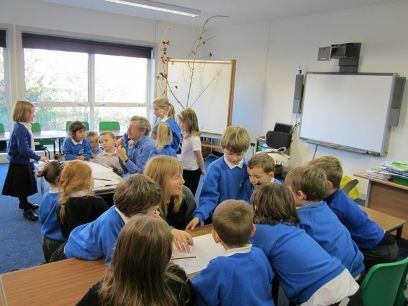 St Mun’s Primary 7 visit Waterloo Road Rothesay Primary & pre-5 raise £848.25 for Children in Need!